Set deep in the Pike National Forest, this is a place where luxury and love of the outdoors are prevalent throughout; something the hotel manages to blend seamlessly. The ranch offers luxurious woody accommodation in ten beautifully restored cabins, with gourmet meals provided three times a day in the main lodge. This is ‘glamping’ at its finest. Endless outdoor activities are on hand to participate in as you wish, from fishing to horse-back riding. 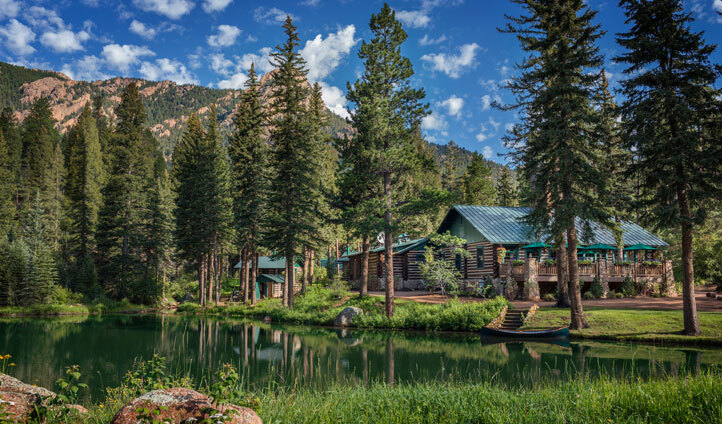 With the stunning mountain scenery surrounding you and the ever-changing play of light on the Hummingbird Pond and Penrose Lake, you will be stunned by the natural beauty as well as the romantic and whimsical feel of this resort. Set 8 acres deep within the 100,000 acre Pike National Forest, the ranch is not accessible to the public. Guests check in at The Broadmoor and are then escorted into the mountains up the meandering Old Stage Road. Escape eight miles up the mountain to a retreat like no other – a whole world away from your day to day worries, in your own wilderness enclave. Ten beautifully restored and charming cabins are situated on the ranch, around one main lodge where you can dine on gourmet meals three times a day. 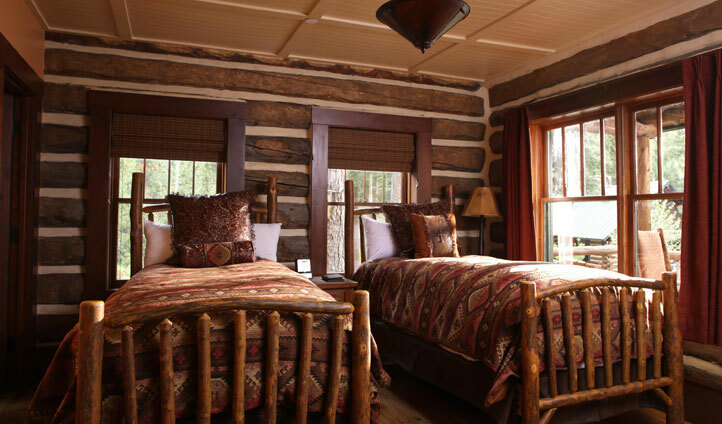 One, two and three bedroom cabins accommodate up to 32 guests, in impeccable style. Cabins feature wood-burning fires and scenic outdoor patios. We love the rustic charm of this secluded ranch; from the unique character of its wooden cabins, to the freshly prepared fine cuisine, to the personalised activities available for guests. This will be a retreat like no other. The wonderful thing about the ranch is that you can do all or nothing. Relax on the deck and soak in the sun as you look at the views, or participate in as many activities as you wish, such as fly-fishing in pristine mountain lakes, exploring the mountains on horseback, or hiking the scenic trails. Spend evenings listening to cowboy songs by a blazing fire, or relax in a hot tub, under the starry and moonlit Colorado skies.